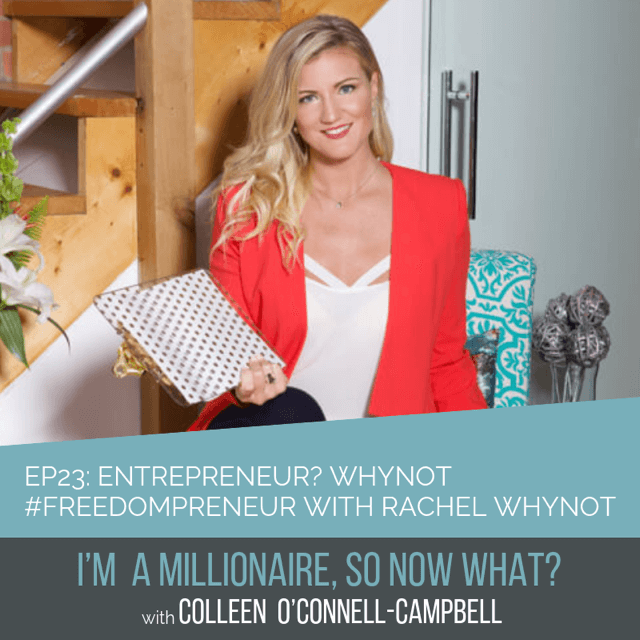 Connecting with others and providing value in a relationship is soooo important for every entrepreneur who wants to be a #Freedompreneur, which is why I’m jazzed to be able to share with you this conversation with Colleen O’Connell-Campbell of the I’m a Millionaire…So Now What? podcast. You’ll hear a bit of my story, learn about my passion for turning entrepreneurs into #Freedompreneurs, why I know it’s important to care for yourself, your soul and your business… because your mindset is critical! AND, of course, why automation will be game-changing for your business and life. You can listen above by pushing the play button, in your favorite podcast app!!! For the full show notes, you can check out the website HERE.